This was a fast paced mystery, with Callie having to do an awful lot along with trying to solve the murder. 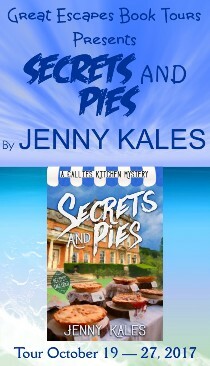 Secrets and Pies is a delightful cozy mystery and I enjoyed it very much…Having become fully invested in these characters, I hope for many more Callie’s Kitchen stories. I love how the characters seem to just jump off of the page and into the readers mind hooking them until the end. This story is truly awesome and I highly recommend it to fans of cozy mysteries. 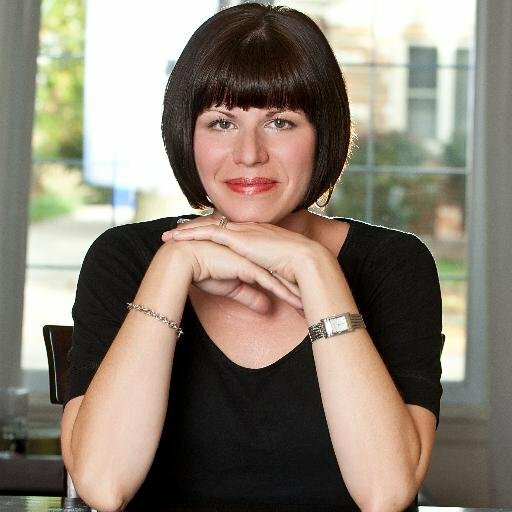 Jenny Kales reminds me that indie authors are so worth reading. She has created a series that not only I adore but many others do as well. The charm and flavor that comes from this mystery will have a reader cheering for more! 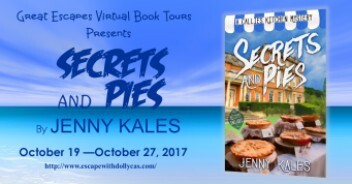 SECRETS AND PIES was a fast paced tale blessed with some of the most eclectic characters I’ve read in a cozy. The way author Kales describes her characters made me feel as though I was in the story with them. I love so much about this book – theatre, old houses with secret areas, and especially the support of good friends. It is a delicious addition to the cozy mystery genre. The story was well written and flowed really well. I also enjoyed the relationships among the characters. One of the highlights of the story for me was how much I absolutely loved the settings! From the picturesque vacation spot of Crystal Bay to the mysterious Harris House, I was captivated by this community and can’t wait to visit again when I read more. Get ready to cozy up with a great book. 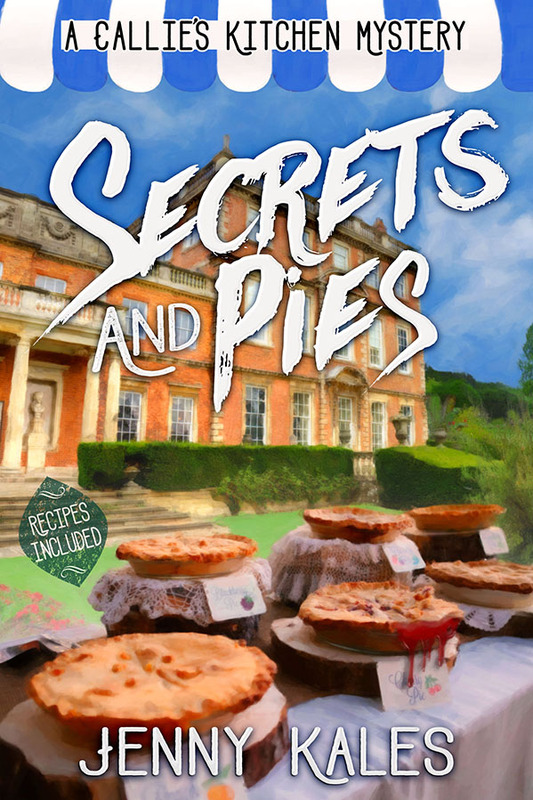 Secrets and Pies will draw you in and keep you entertained.